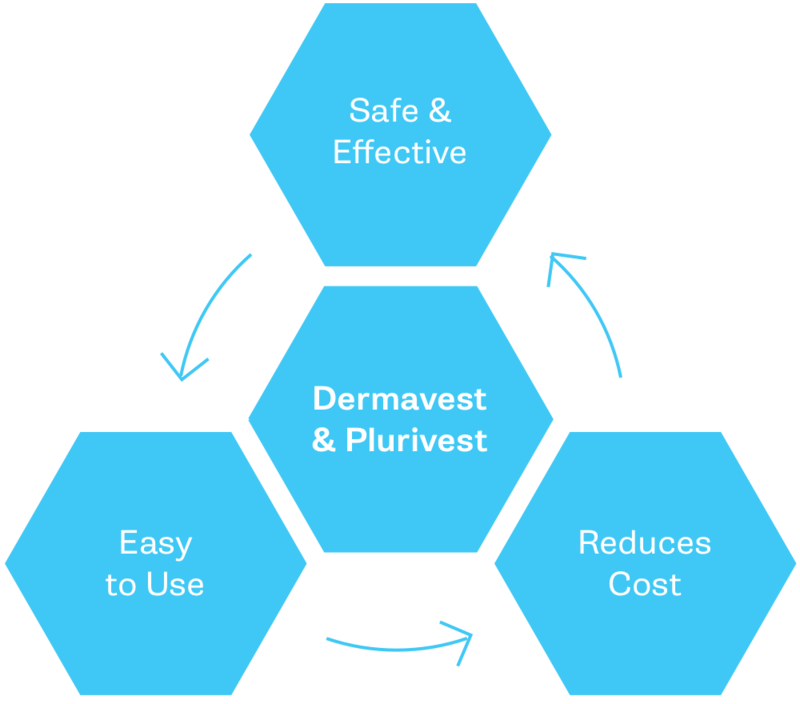 Dermavest® and Plurivest® utilize human amnion/chorion, umbilical cord and placental disk tissue. The tissue is decontaminated while preserving the important cell attachment proteins, growth factors and cytokines that have been proven to have therapeutic value. The tissue is freeze-dried to remove moisture, pressed into a contiguous sheet and sealed in a foil pouch. A low, 17.5 kGy dose of e-beam irradiation assures sterility and the products are distributed with a three year, room temperature shelf life. The tissue is obtained from normal, healthy, full-term pregnancies. Donors have consented to transfer of the tissue to third parties. Each donor is carefully screened. Comprehensive medical and social histories of the donors are obtained and placentas with attached umbilical cord and amnion are procured, processed, and tested in accordance with standards established by the FDA to minimize potential risks of disease transmission to recipients.